Our witness to the peoples of Chad began with the pioneering ministry of the Revnes and Kaardals among the Moundang people in 1920. It later spread eastward and northward to include the Pévé, Musey and Zimé people groups, not to mention the many people groups in neighboring Cameroon. The goal to catalyze the building of a self-sustaining and propagating Church was achieved in the late 1990s. It was Bible-inspired teamwork in which missionary women, married and single, played crucial roles. On November 16, 2017 in Fergus Falls, Minnesota, we gathered to remember the life of former LBIM missionary Orpha Raun. Orpha and Don Raun worked with the Église Fraternelle Luthérienne au Tchad, their first thirty years in the Léré area of southern Chad among the Moundang people and their next ten years further north among a Muslim people group known as the Bagirmi. 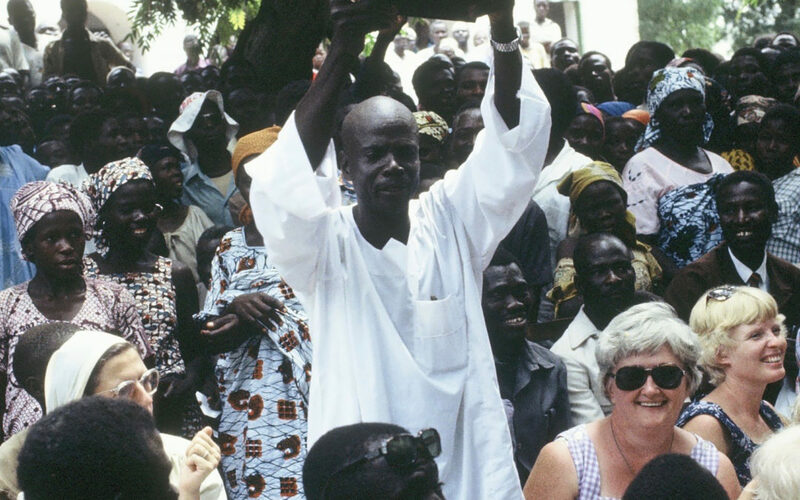 This move presaged a decision by the CLB Mission Board in 2000 to focus its resources on commissioning teams that included Chadian and American missionaries to bring the Gospel to unreached Muslim people groups. In both regions, the Rauns’ main focus was to learn the local language, break it down into written form, and progressively create materials to introduce the message of Jesus. 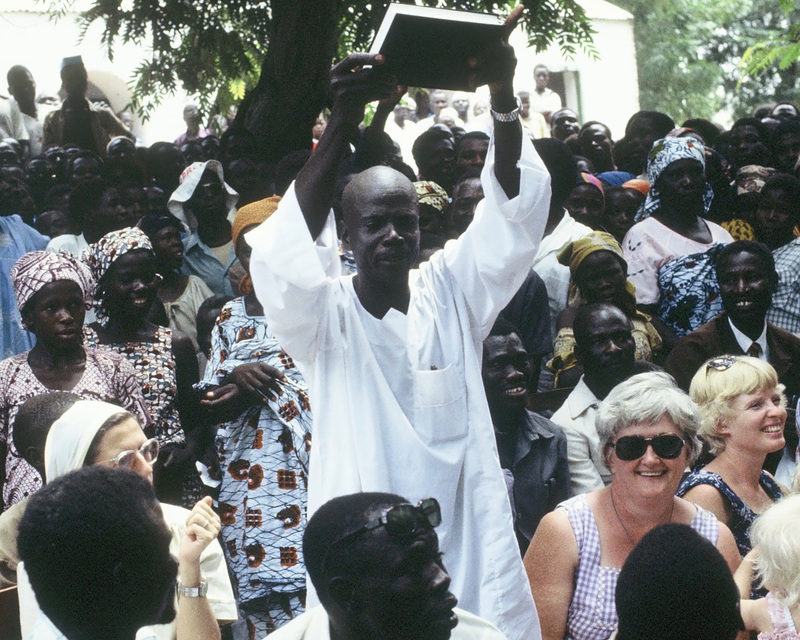 With the help of the Léré church’s Chadian translation team, the entire Bible in the Moundang language was published in 1983. The unwritten job description for Don would include teaching, preaching, mentoring, translating, and leading the team that led to the publishing of the Moundang Bible, as well as keeping the car running and changing flat tires (a common occurrence due to ubiquitous thorn branches that tend to congregate on roads and trails). Orpha’s unwritten job description would include raising and homeschooling three children, cooking, hosting unexpected travelers, washing clothes and taking care of sick people coming to the door. She also did all the typing and mimeographing for the translation team and managed the bookstore. All of this was done without the benefit of electricity, running water, or the myriad of time- and energy-saving household and business conveniences we take for granted. It also included living in a climate where temperatures could get up into the 115–120 degree Fahrenheit range. She still made time to do re-creational things like reading good books (Orpha was an avid reader). This was all done, for the most part, with joy and thankfulness to God for his faithfulness and provisions. As a side note, it should be observed that part of their combined job description was to adjust patiently to the changes and stress brought on by new inexperienced missionaries like us. As we listened to people sharing memories that November evening, the crucial role that missionary women played as team members stood out. Their role has traditionally been underestimated and not honored as it should be. In the case of the Rauns, Orpha not only performed the role of mother and wife but also was a key and essential member of the team that ultimately produced the Bible in the Moundang language. This was before the advent of computers. The final copy of the Bible that was sent to the printer had to be perfectly typed, all 1,348 pages of it! Make one error and the page had to be totally redone! Other missionary women played significant roles in teaching and health care. The legendary Anna Aandal, a single missionary for thirty-seven years, helped build the Church among the Musgum people of Cameroon, led the translation of the Bible into their language and established a much needed clinic that functions to this day. One of the particular feminine gifts is to establish and build relationships. The contribution that missionary women made to the Bible Schools and to the local churches through their teaching and mentoring has been a very powerful and effective component of the overall missionary effort. If you were to attend the women’s weekly Bible study in Léré and listen to testimonies of the women, you would especially hear how the Gospel has changed their home life. Their husbands are more gentle, loving and respectful. They’re even willing to carry water or fetch wood, tasks never done by husbands in that culture. Today roughly 222,000 Christians, on average, meet every Sunday for worship in Lutheran Brethren congregations in Cameroon and Chad. That is 18 times the average attendance of our CLB churches in North America. How did this happen and what can we learn from this mission experience, characterized by teamwork, In the Heart of Africa1? How can the concept of teamwork between husbands and wives be used to create a more powerful and effective Gospel witness in North America? Thanks be to God for the life and ministry of Orpha Raun and those other saints who preceded her! Joan and David Thompson live in Minneapolis, Minnesota. They had the privilege of living with the Rauns on the Léré station from 1975 to 1987. In Léré the Thompsons helped develop a community health program.